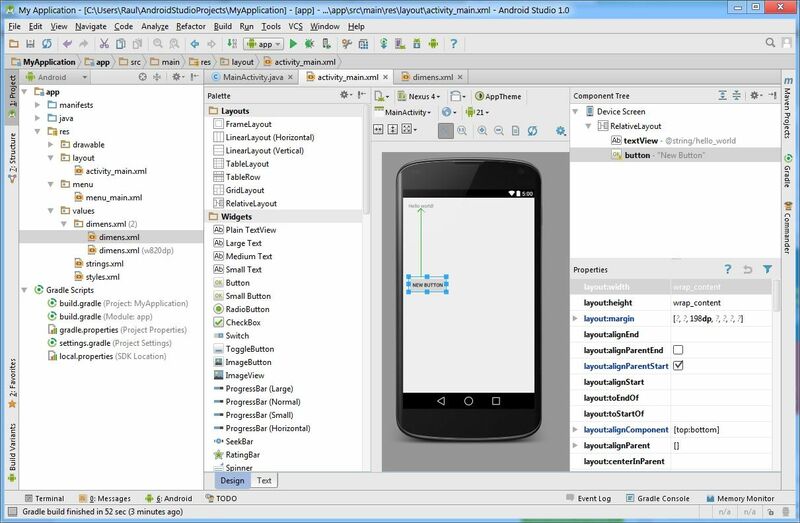 In May of 2013, Google introduced Android Studio, its own integrated development environment for creating Android apps, in an attempt to eat into the market share of the Eclipse + ADT combo that was so popular at the time. More than a year and a half later, we now have the final 1.0 version of the tool, which includes a huge number of unique features that make it the heir apparent of its sector. Such is the emphasis on winning widespread defections that there’s a specific section on the program’s official webpage on how to migrate your apps from Eclipse and Android Developer Tools, particularly given that the plugin of the latter will not be updated, meaning Studio will become the only alternative to work with most modern software and hardware in the Google ecosystem, including the recently released Lollipop (5.0) version or Android Watches. Its new Gradle-based hierarchy system for building apps make it easy to, among many other things, create variants of the same app thanks to its versatile system of dependencies. This, together with an editor kitted out with all sorts of assistance features and its interesting integration with Github make Android Studio an accessible IDE for any level of user. As it’s an own-brand software (although Google did collaborate in its development with JetBrains and its IntelliJ platform), it covers a huge array of necessities with regard to its compatibility and interaction with the integrated emulator, which lets you view your project on different devices, resolutions, and versions of Android, including devices like Android TV, Google Glass, or Android wearables. Android Studio is available for Windows, Mac OS X, and Linux, and its only requirement is to have the Java Development Kit installed, as during the installation itself all the SD components will be downloaded.